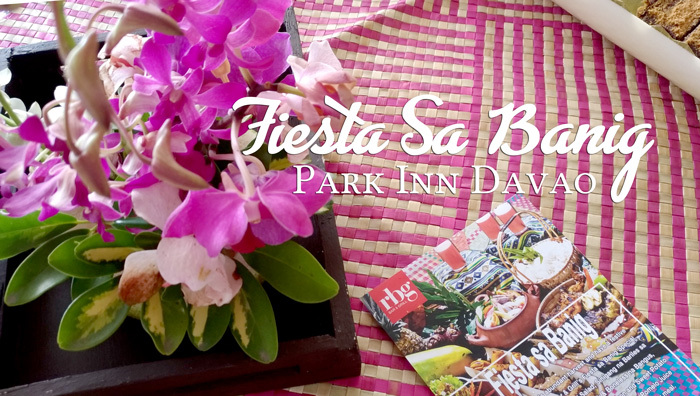 RBG Bar and Grill at Park Inn by Radisson Davao joins the whole Davaolandia in celebrating Kadayawan by offering festive dining specials that’s fashioned out of the bounties of Davao. 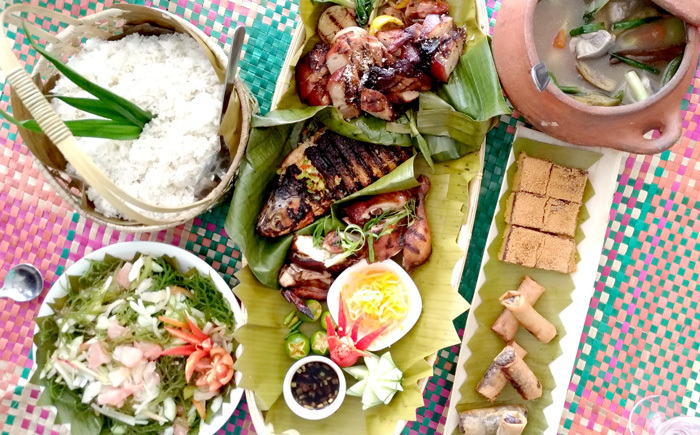 Dubbed as ‘Fiesta sa Banig’, this Kadayawan special comes in a set of all-time Filipino favorites served on a traditional and colorful native mat set-up that compliment a festive Kadayawan feel. A baníg is a handwoven mat made out of pandan plant or romblon. It is indigenous to the Philippines and is used for sleeping and sitting. This Kadayawan at Park Inn Davao, it is used as table top to compliment a festive meal, just clever! I love the idea. The set-meal consists of Filipino familiar flavours. Diners get to choose between Ensaladang Pipino at Dilis or Ensaladang Guso at Pomelo Salad, Sinigang na Bariles sa Mangsoteen, a Platter of Grilled Chicken, Pork and Boneless Bangus, a basket of Pandan Rice, a Platter of Durian-Ube Turon and Sweet Potato float for dessert. A choice of a round of tropical-feel Pineapple-Pomelo Juice or a cup of Arabica-Robusta Coffee comes as a compliment with the meal. “We wanted to offer something regional this Kadayawan, and thought of incorporating Davao’s abundant harvest with the dishes offered such as the Sinigang na Bariles sa Mangosteen. The Banig is highlighted as part of the set up to exhibit the festive vibes of the meal. The flavourful set meal will definitely match with the Davaoenos taste buds and spark the culinary interest of the visitors." says Park Inn by Radisson Davao’s General Manager, Emelyn Rosales. for an all-out cultural performance despite of the unforgiving sun! Bravo! 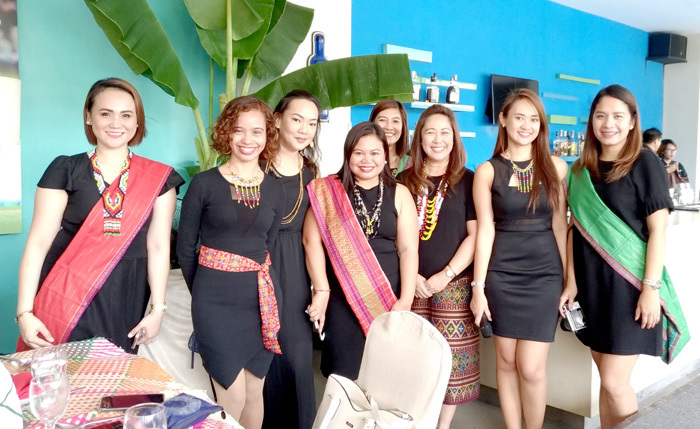 The Power Women of Park Inn by Radisson Davao! This ‘Fiesta sa Banig’ Kadayawan special is priced at P1,899.00 net and is good for 6-8 persons, perfect for the whole squad and family. This is available daily, lunch and dinner, 11:30AM to 10:00PM from August 13 to 31, 2018. Other than this dining special, Park Inn Davao also offer special room packages this Kadayawan to complete your Davao vacation. Enjoy an overnight stay for P5,550 net per room/night inclusive of breakfast and a set dinner for two persons. Now, that’s a real deal! Davao Digital Influencers and Davao Media friends during the 'Fiesta Sa Banig' launch. Thank you, Park Inn Davao for having us, Happy Kadayawan!